There are four safety integration level (SIL) designations that can be applied to a safety function, each carrying an increasing level of acceptable risk. Safety systems are increasingly relying on networked equipment, making a two-pronged approach that includes both functional safety evaluations and cybersecurity testing a must. Industrial Safety Equipment Certification: We can help you certify even the most complex industrial equipment and control systems governed by uniform sets of international functional safety requirements. We can also help you determine the correct Safety Integrity Level (SIL) and Performance Level (PL) designations to help reduce the risks associated with industrial processes. Automatic Electrical Control Systems for Commercial Product Certification: We can evaluate functional safety software for household and commercial products targeted for North America and around the world. This helps ensure the safe operation of automatic embedded control hardware and software in a variety of products. Experienced and Accredited: As a fully accredited third- party testing & certification provider, we have been providing functional safety guidance, evaluation and certification services since the release of the first edition of IEC 61508 in 2001. There is a great need for industry to provide evidence of the reliability of automated safety systems to ensure the safety of people, the environment, and corporate assets. We offer customized services that can help you navigate certification and speed your products to markets around the world. 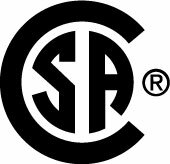 Beside solutions to ensure functional safety, CSA Group offers a set of solutions for all your product certification, inspection, and evaluations needs.